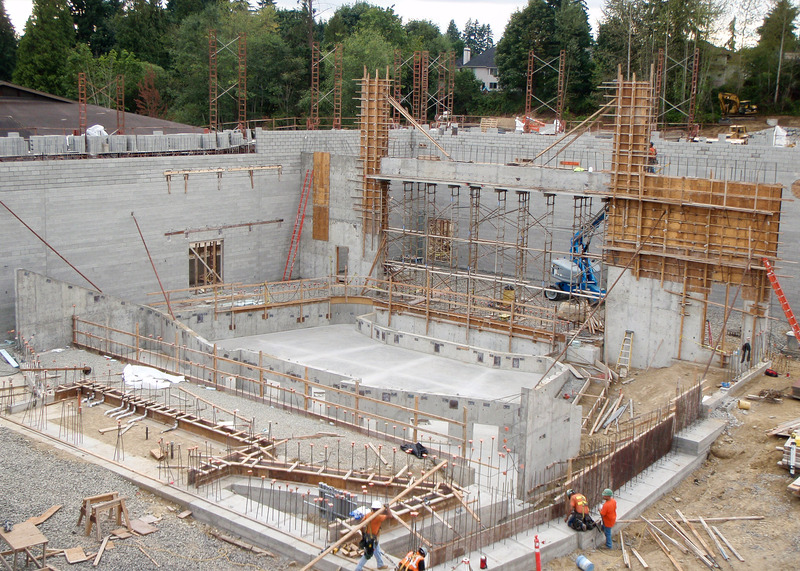 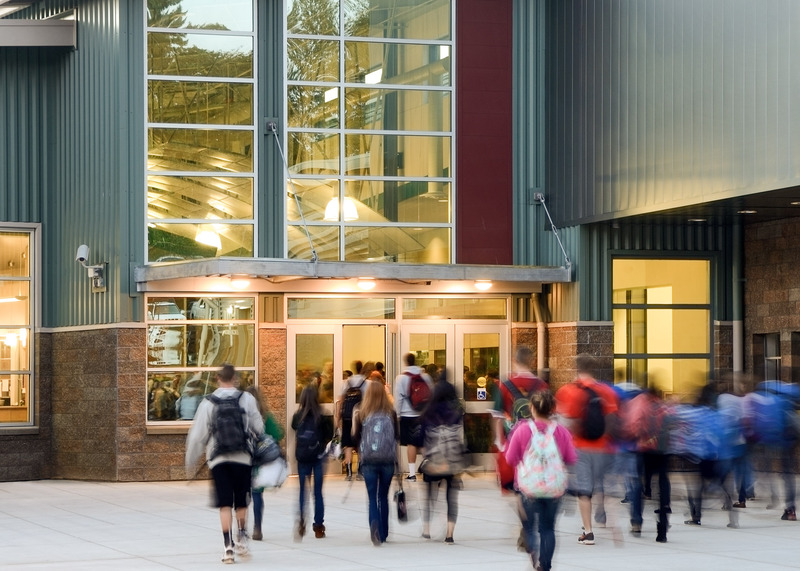 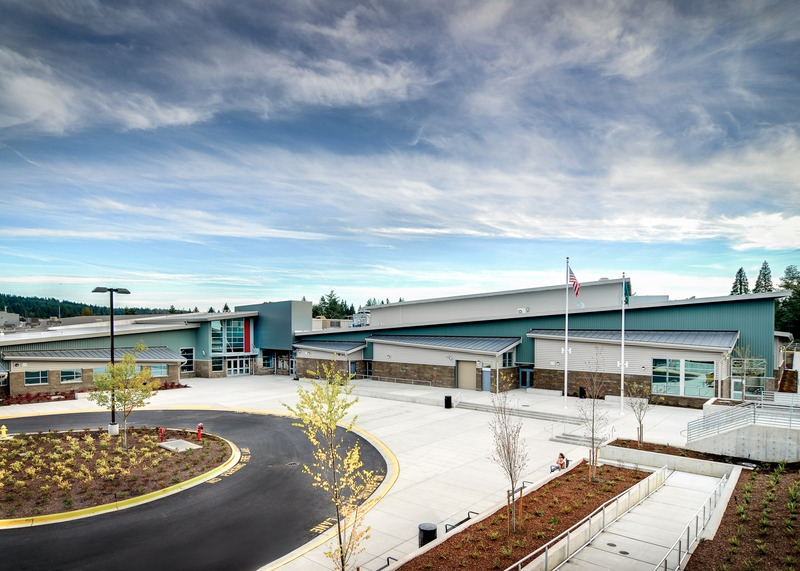 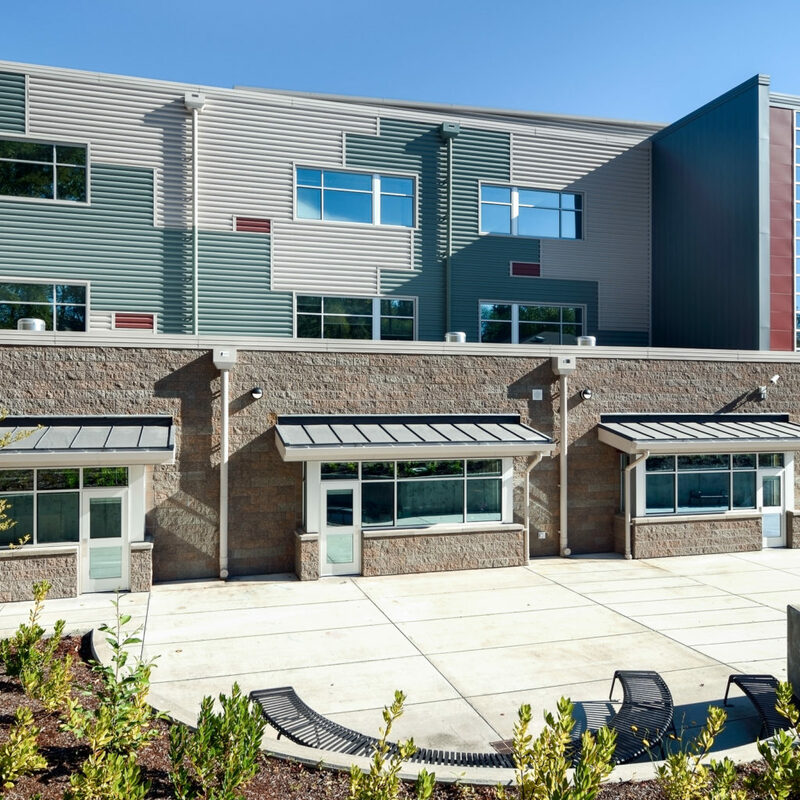 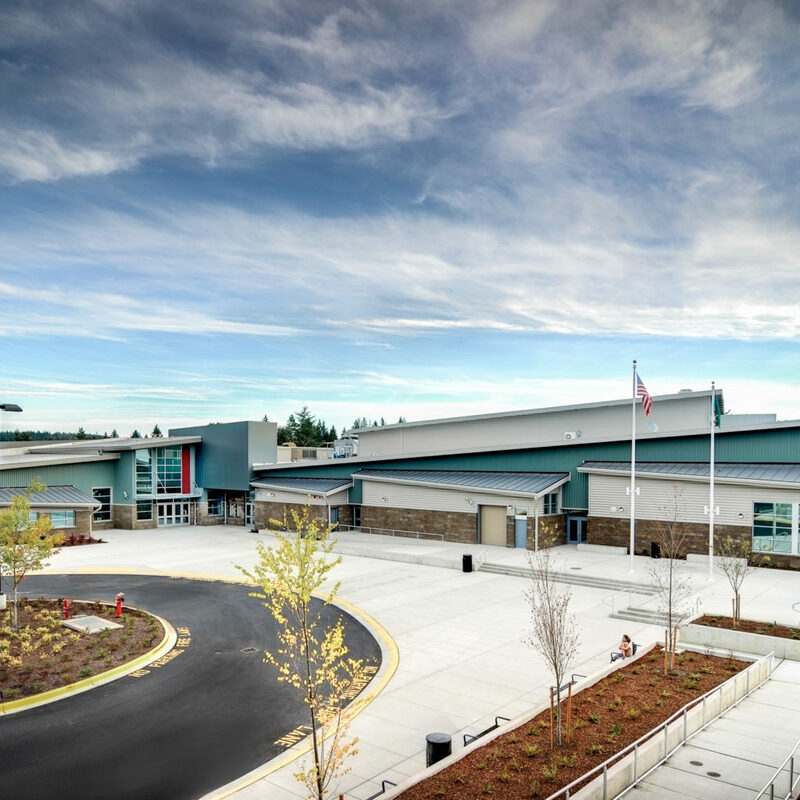 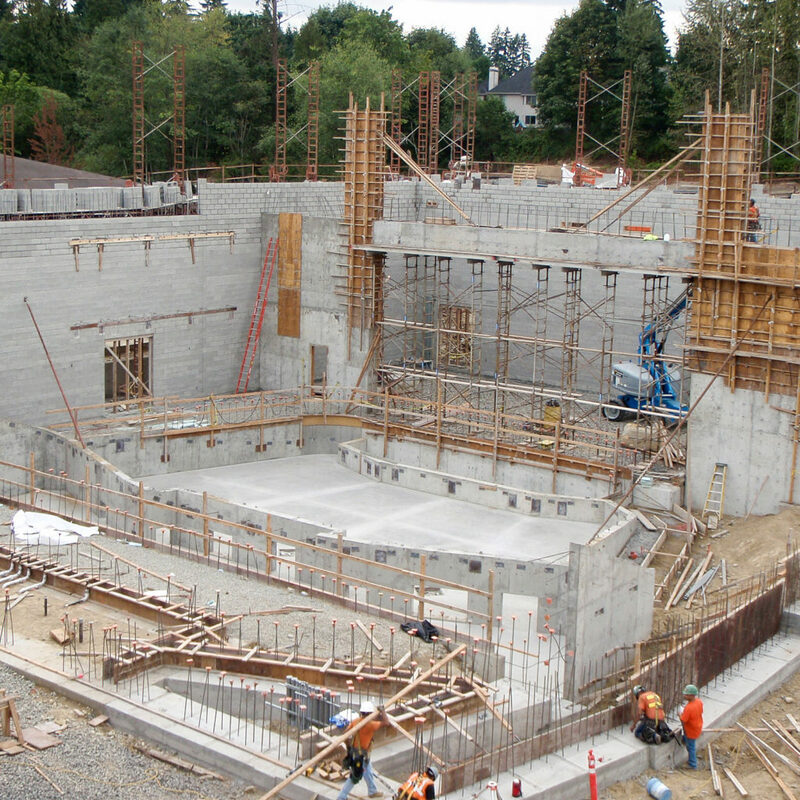 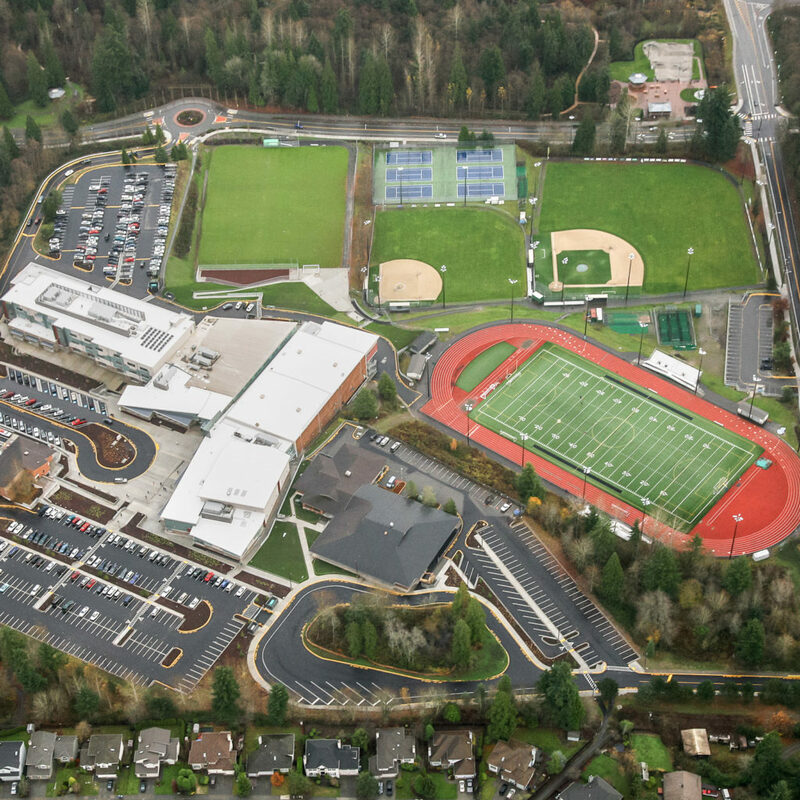 The second of three major construction phases for the Woodinville High School project added four new buildings to the school totaling 142,797 square feet. 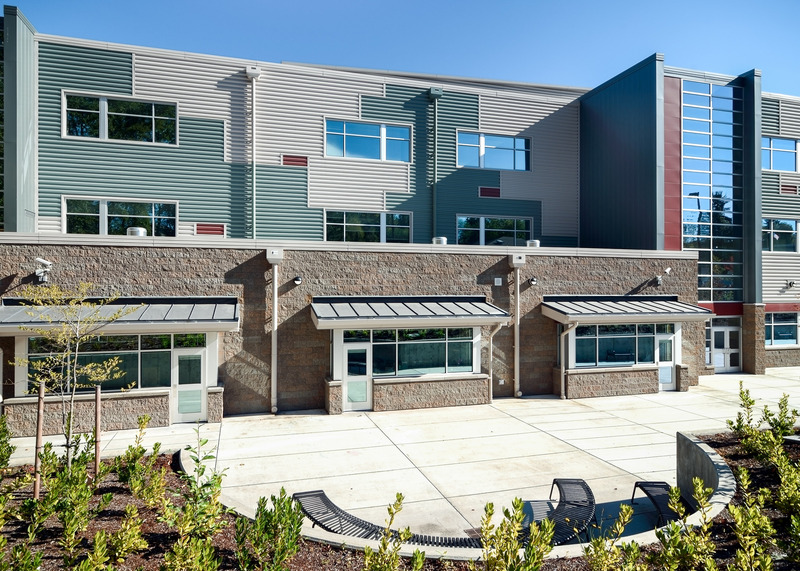 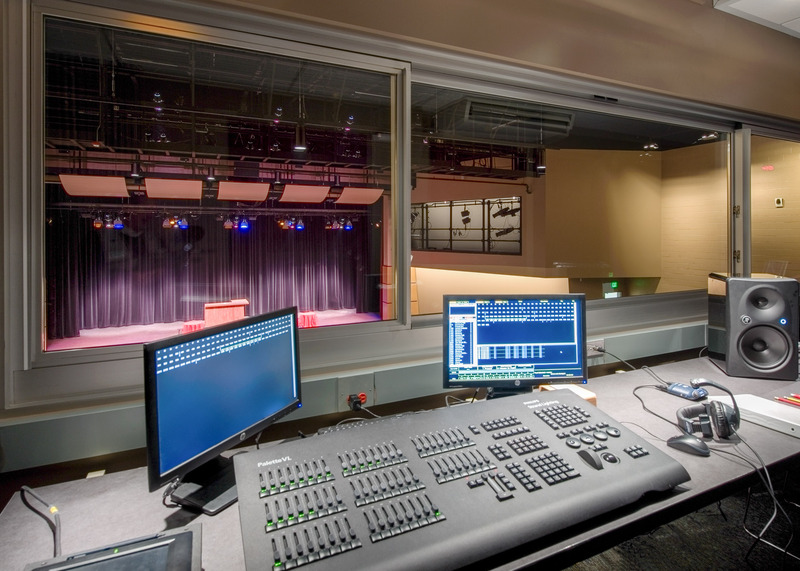 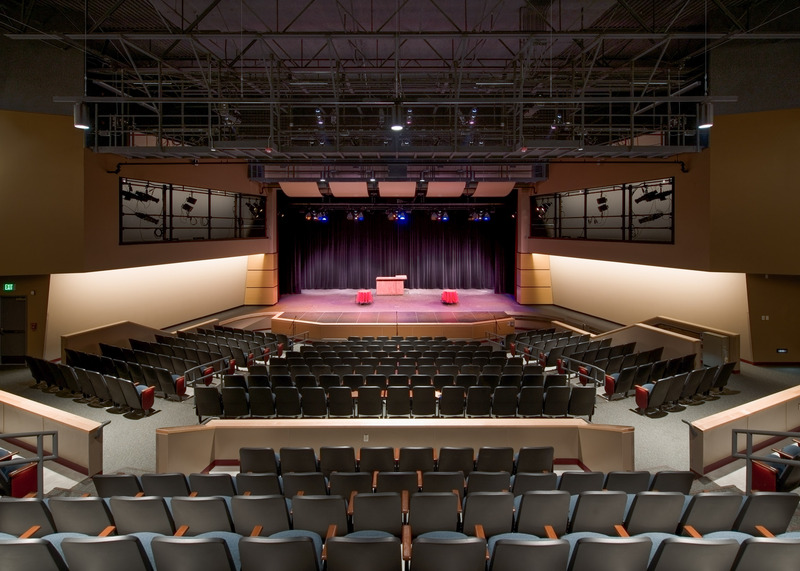 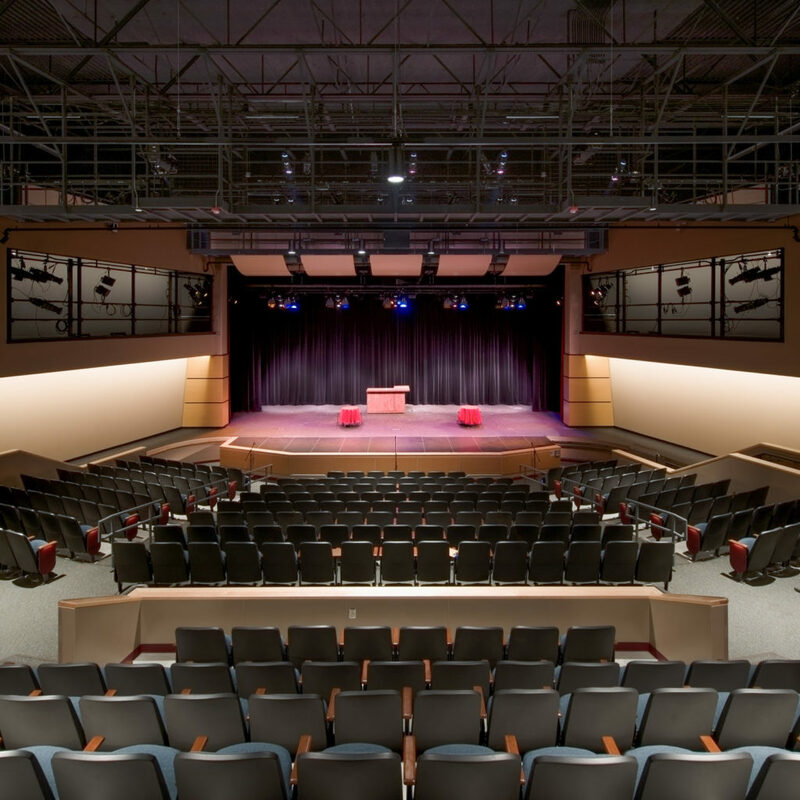 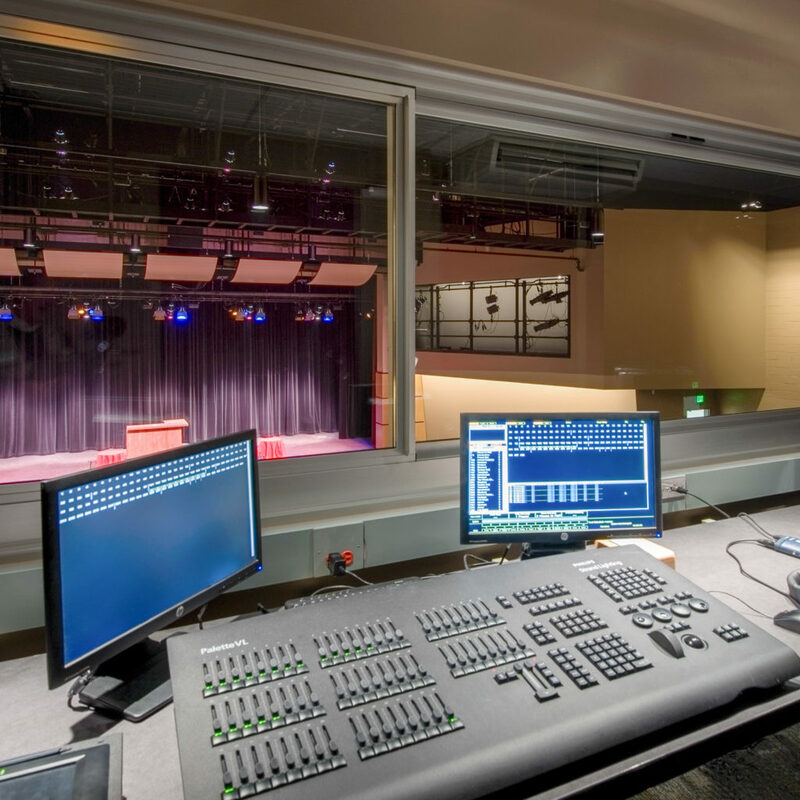 This phase included a new three-floor academic wing of 70,000 square feet, a new performing arts center for drama and music, and new offices for administration, counseling, and the career center. 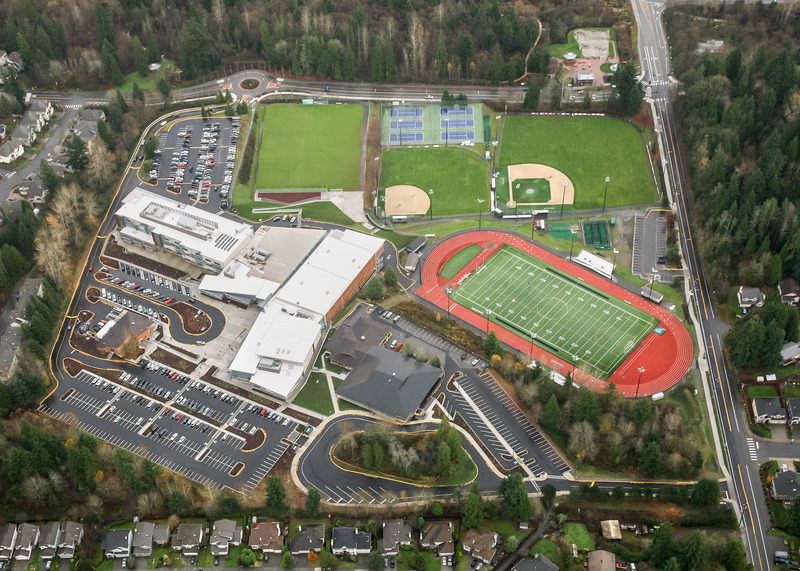 Site improvements included new drop-off pick-up areas/loops for visitors and buses, new student plazas and courtyards as an extension to the commons, pedestrian walks and amenities, newly reconfigured parking facilities, and improvements to existing playfields. 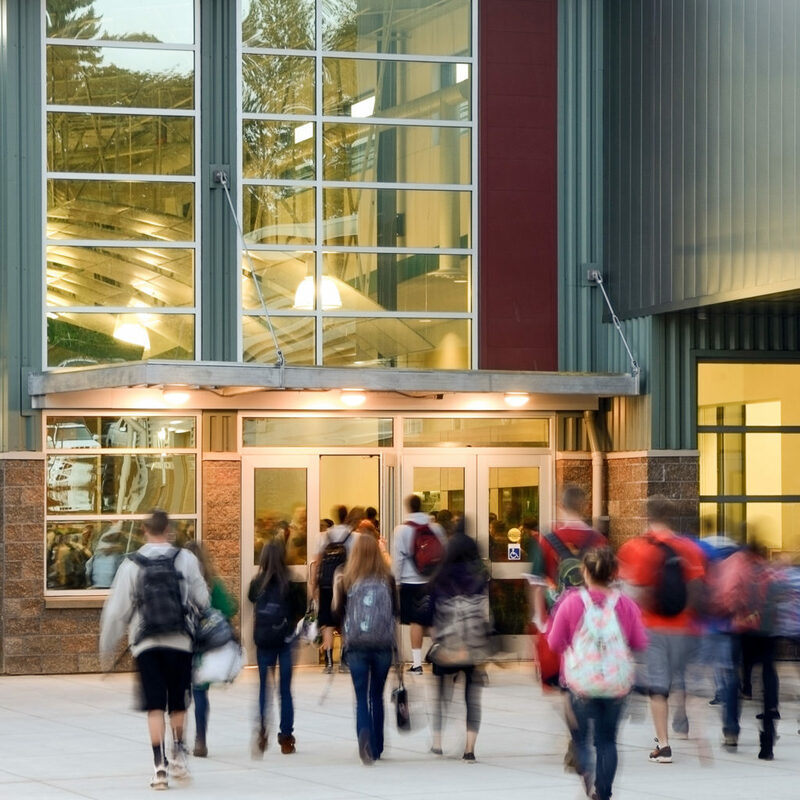 All construction took place within a fully operational campus accommodating more than 140 staff members and 1,400 students.